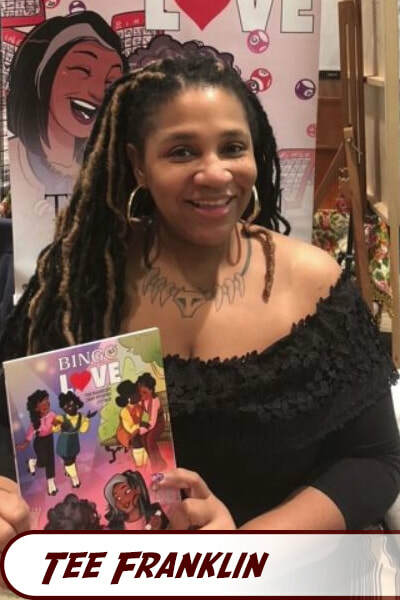 Tee Franklin is a Queer, disabled, Black woman who writes comics: The Outfit (Nailbiter #27), A Blazin’ (in the Ignatz award-winning Elements Anthology), Tears (in the Eisner-winning and New York Times Best Seller, Love is Love), and Inclusive Press/Image Comics Queer romance graphic novella, Bingo Love. Franklin won the 2017 Queer Press Grant for Bingo Love and raised almost $60k for this graphic novella via Kickstarter. 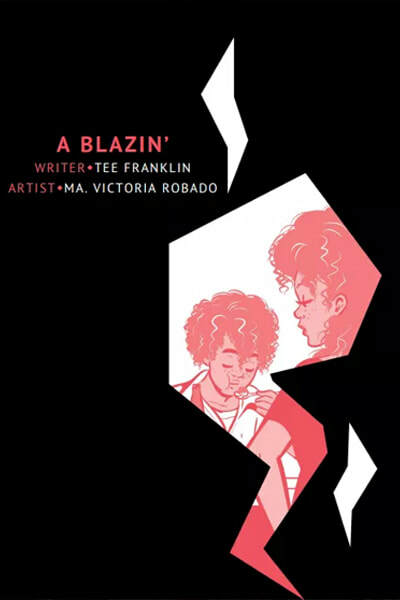 Franklin created her own publishing company, Inclusive Press, in order to publish her own comics, as well as comics by other marginalized creators. 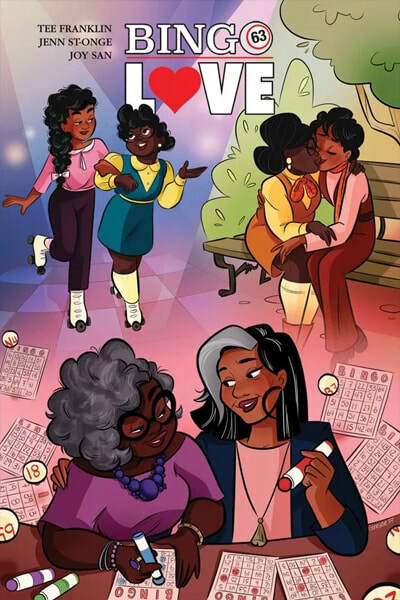 She signed a deal with Image Comics to publish Bingo Love in 2017, releasing it in February of 2018. 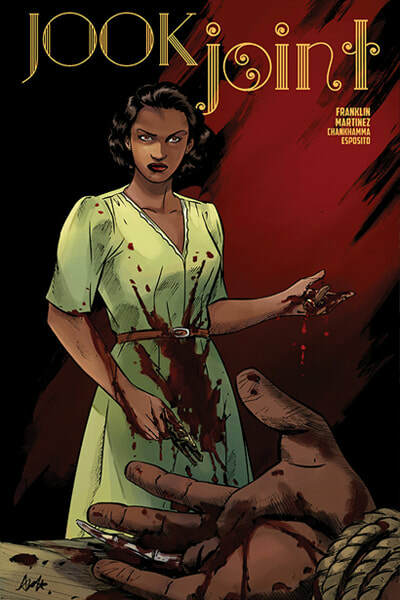 Currently, Franklin is teaming up with Alitha Martinez to create Image's Jook Joint, a socially conscious horror mini-series. Franklin resides in New Jersey with her three children, and for some unknown reason, is a Jets fan. She’s also a social media influencer, an activist, public speaker, domestic violence survivor and a constant tweeter. Bio from Tee Franklin's website.